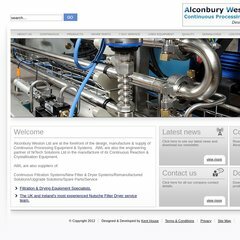 www.A-w-l.co.uk - Welcome - Alconbury Weston Ltd. Topics: Remanufacturing, and Upgrade Solutions. The programming language environment is PHP/5.2.5. It has 2 DNS records, ns2.fast-hosts.org, and ns1.fast-hosts.org. It is hosted by Titan Internet Ltd (England, Essex,) using LiteSpeed web server. PING www. (217.77.188.34) 56(84) bytes of data.